The Biafra Nations Youth League, BNYL, has highlighted reasons hindering the actulaisation of Biafra. BNYL asserted that lack of coordination, indiscipline and what it termed “I don’t care attitude” among Igbos were responsible for the inability to actualise Biafra. 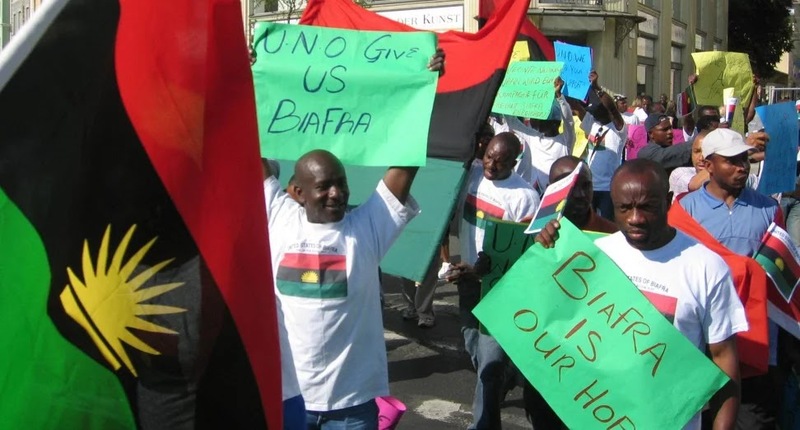 The group made the remark while condemning the Indigenous People of Biafra, IPOB, for threatening the leadership of Igbo socio-political organisation, Ohanaeze Ndigbo. IPOB had warned the leadership of Ohaneze against holding the proposed summit on restructuring in Enugu. The group had said it would ensure that such summit was disrupted, whether the venue is flooded with security or not. Reacting to the threat, BNYL’s leader, Obuka Princewill warned that should IPOB carry out its threat, there would be daring consequences of internal fights within the South East. Princewill said, “Gradually we have become laughing stock by this our everyday exchange of words, and threats here and there.” In a statement he signed and sent to DAILY NEWS, Princewill said, “Ohanaeze Ndigbo Summit is for the Ohanaeze; it is their organizational affair, they can hold their Summit, it is Ohanaeze affair, the question whether the Summit is in favour of restructuring of Nigeria should not be our business, they are on their own, it cannot stop the Independence of Biafra”. Princewill noted that the “lack of central coordination in the movement, indiscipline and ‘I don’t care attitudes’, is our problems. “When are we as Biafra agitators going to hold our own Summit to present our position to the world as to how and what we have done so far in favor of Biafra? “The world needs to know how we intend to run Biafra government, they have not seen 70 percent togetherness in us; where is the Constitution of Biafra. “I don’t think Ohanaeze Ndigbo has that power to stop Biafra since they don’t represent the interest of Biafra, they may only try to scuttle efforts being made, which of course is a failed mission, and they themselves will suffer more”.